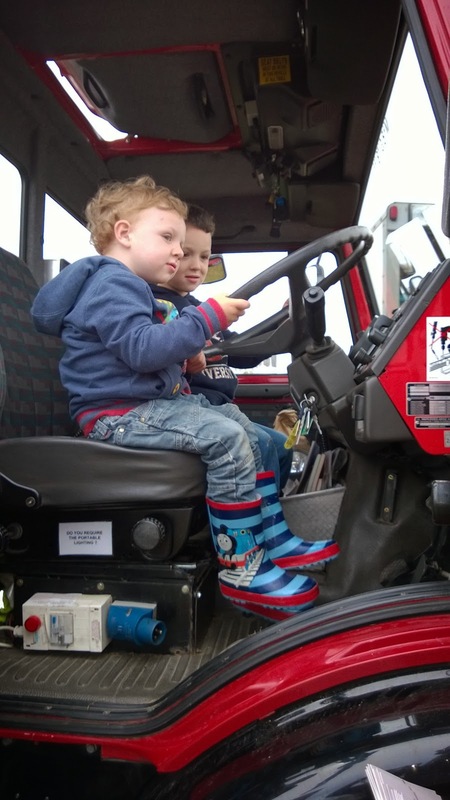 Last Sunday we had a choice - we could either lay floor in the bathroom, a job that has needed doing for a long time, or we could take the kids out to see the Emergency Services day at Eastbourne. We decided on the day out - house stuff could be done any day, but the next Emergency Services day would be a whole year away. The kids were so excited to sit in all the vehicles and get splashed by the bomb disposal diver in the giant training tank. Ollie said it was the best surprise ever. Both boys have spent most of this week playing firemen as a result. While the kids are little and actually want to do stuff with us we will take every opportunity to enjoy our time together. Completed D.I.Y. and a showroom house might happen when they're older and naturally want to be out with their friends instead of being with us so much. This has been a week full of tragedy, injustice and health worries for a number of our friends both locally and further away. The one thing they have in common is my immense respect for each of them - they are all people who stand up as individuals and approach life with humour and compassion for others. I can only hope that imitation is the sincerest form of flattery as we continue to follow their lead in making the most of every minute we have together.